This morning 5 month old Buckley went home with his ecstatic new owner Madeline. 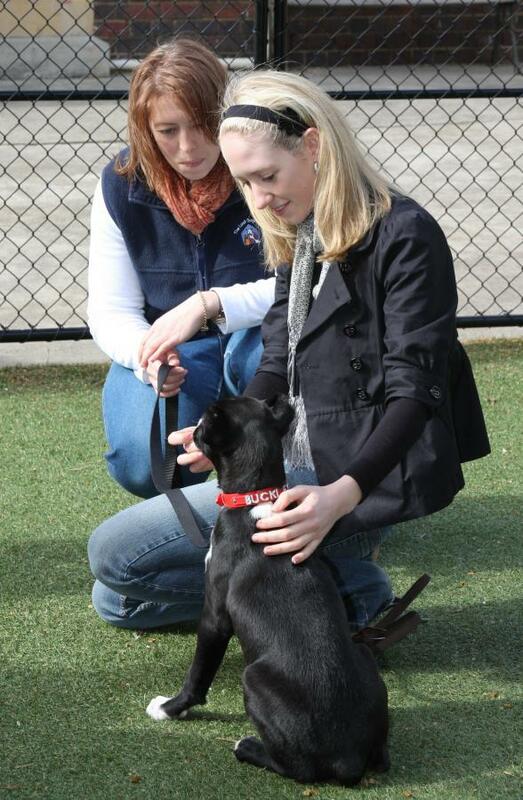 Carefully selected from over 350 applicants Madeline was thrilled to be taking Buckley home. Madeline has grown up with and owned medium sized active dogs and is well placed to provide Buckley with the support and training he will need. Of course Madeline and her family cannot wait to also shower him with all the love and affection he deserves. Life ahead for Buckley looks great. He has a loving new owner who adores him and an equally doting extended family that includes two Labradors who will happily welcome another playmate. He can also look forward to regular escapes to the family beach house. After two months in her care foster carer Jodie was sad to say good bye but happy to see Buckley begin a positive new chapter in his life. She said making a difference to the lives of animals like Buckley is her ‘passion’ and she couldn’t be more pleased. Of course Buckley and Madeline did not leave the Home empty handed, they left with a boot load of toys, food and bedding so generously given by Buckley’s many well wishers. Once again thank you to all who so kindly supported Buckley and the Home during his rehabilitation. Buckley and Madeline will be regular visitors to the Home as he continues his training with Nicole at Planet K9 and receives check ups at the Home’s Veterinary Clinic. We will continue to publish updates on Buckley as he settles into his new home and life with Madeline.